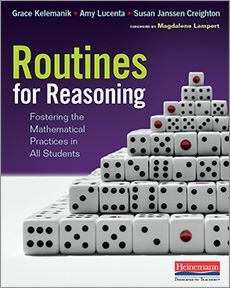 Welcome to the Routines for Reasoning Book Study! Anyone with an interest in improving student understanding is welcome to participate! Discussion prompts will be posted weekly, per the schedule listed below (began January 5, 2019). Be sure to purchase your copy of the book soon so you can join the online discussion!